﻿﻿We have classes for beginners! Click here to view our current class schedule. IMPORTANT NOTICE: If we do not have a minimum of three participants registered for a class at least two hours prior to class start time, that class may be canceled. and we will come to YOU! 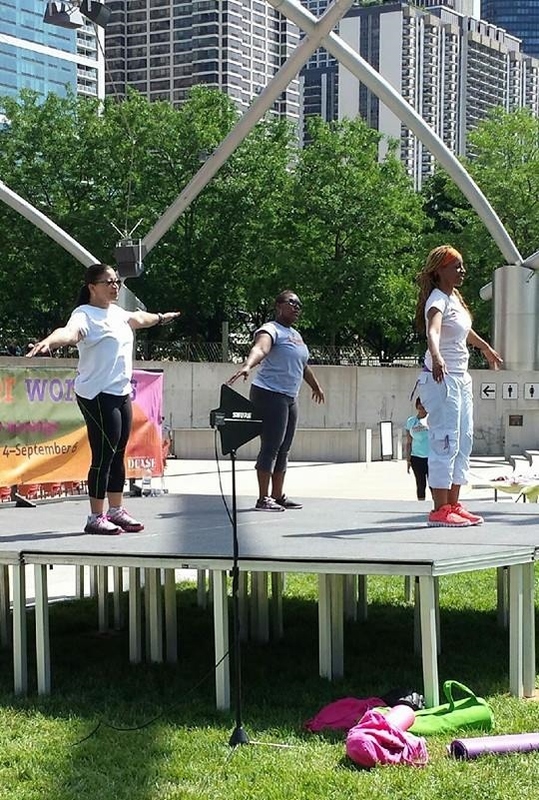 We offer Zumba Fitness, bellydance, line dance, gospel aerobics, yoga, hip-hop, Tai Chi, salsa and more. Specialty classes are geared toward plus sizes and the young at heart. Additional classes may be added based on customer feedback and instructor availability. Classes are small and taught by knowledgeable, energetic instructors. FunDance Fitness is an inviting home away from home where you can feel comfortable and let your hair down (though you may want to put it up because you will be working up a sweat). ﻿ Contact us anytime! We look forward to hearing from you. *Schedule and prices subject to change.